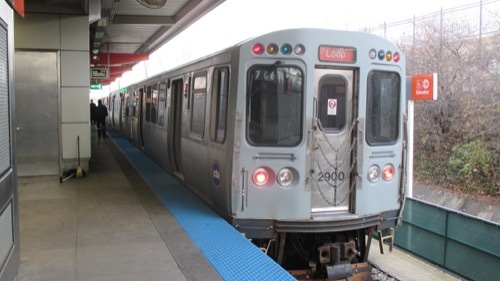 The CTA Orange Line is a fast, inexpensive way to get downtown, where your hotel is probably located. You won't get dropped off right at your hotel, but as long as you don't have a ton of luggage, you can probably walk from the closest El stop to your hotel in minutes. The train only goes one direction from Midway, so just board the next train leaving the station. While you're on the train, use Google Maps' transit feature to figure out where to get off the train, and where to go after you get off. This is where our advice ends. Follow the signs, trust your device, your deity of choice, or even just (gasp!) ask somebody for help - Chicagoans are mostly friendly once they know you're not a threat.